Math Running Records is HERE! It’s here! It’s happened! It’s finally been released! 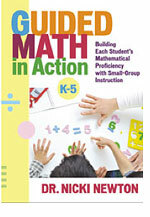 Math Running Records will change the face of fluency in your world! Get it today! Join the course! Start a fluency revolution in your class, at your school, in your district!